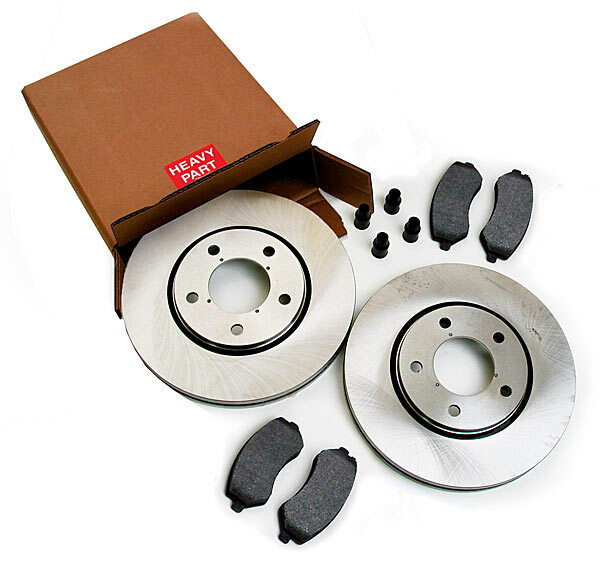 Mopar's Value Line "Make it New" brake kits for 99-04 WJ Grand Cherokee. 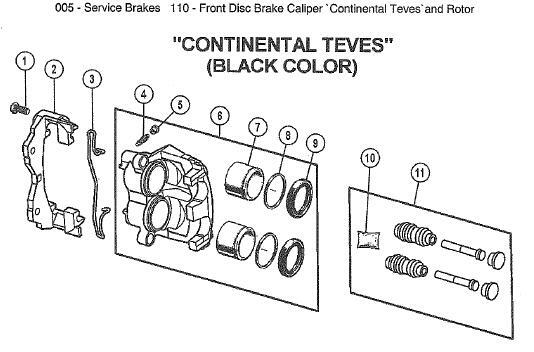 There are two versions of the brake kits, Akebono and Continental Teves. 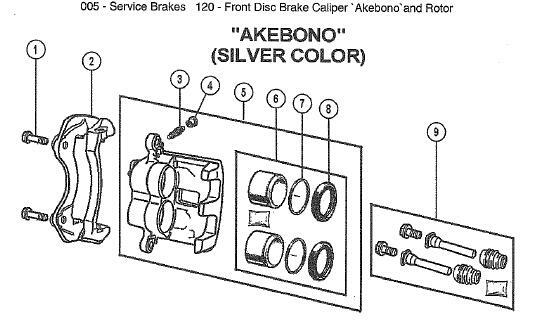 If you are unsure which version you have you must physically check your caliper brackets (Item 2 in the pictures) to detemine the correct kit for your Grand Cherokee.